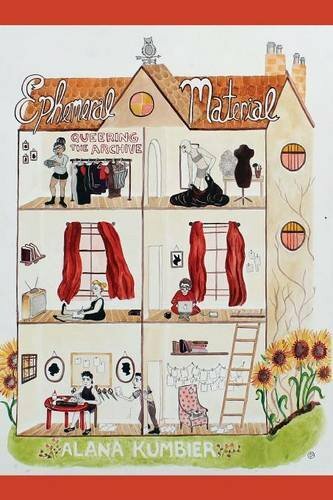 Ephemeral Material: Queering the Archive articulates a queer approach to archival studies and archival practice, and establishes the relevance of this approach beyond collections with LGBTQ content. Kumbier argues that queering the archive (thinking through queer interests, experiences, explanatory frameworks, and cultural practices) allows us to think critically about established archival principles and practices. This project describes -- and supports -- the work of archivists, community documentarians, activists, and scholars seeking to preserve materials documenting queer lives and experiences, and imagines how we might respond to the particular demands of archiving queer lives. Further, this project intervenes in the repetition of practices that may exclude LGBTQ constituencies, render our experiences less-visible/less-legible, or perpetuate oppressive power relations between archivists and users or documented subjects. The project aims to make work by scholars in history, performance studies, queer studies, and other areas of the humanities who are encountering the limits of archives -- and are developing strategies for working with them -- legible and relevant to archivists and librarians. The book supports its conceptual work with concrete examples of collecting and documentation projects, a research ethnography, and analyses of popular media that represent -- and critique -- archival spaces and practices. If you have any questions about this product by Litwin Books, contact us by completing and submitting the form below. If you are looking for a specif part number, please include it with your message.